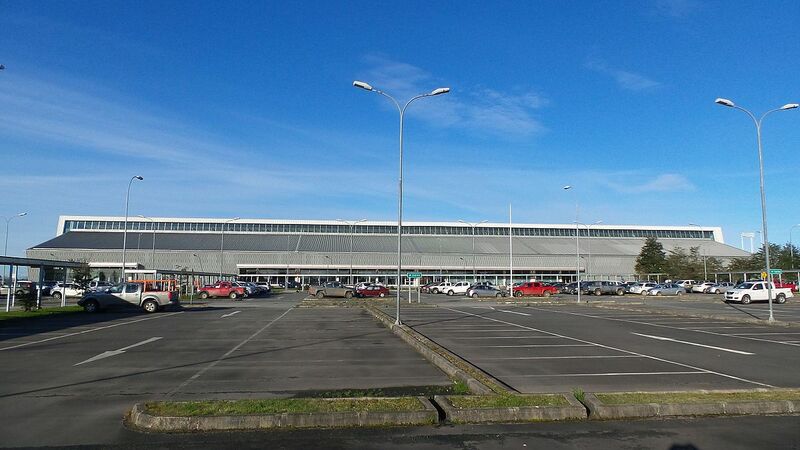 El Tepual Airport is located 14 km west of the city of Puerto Montt, Los Lagos Region, connected via the V-60 route. It was officially inaugurated on May 11, 1963 although its track was already ready in 1960, which allowed the operation of aircraft from various countries (mainly the US C-124 Globemaster) after the earthquake and tsunami of May of that year in the city of the Valdivia. It has a runway with a length of 2,650 meters and 45 meters wide, built in concrete and asphalt pavement in which they can land from smaller aircraft to: Airbus A319, Boeing 737, Airbus A320, Airbus A321, Boeing 757, Airbus A330, Boeing 767, Airbus A340, Boeing 777, Boeing 787 and Airbus A350. It also has a total built area of ​​9,900 m2 on two floors, with 5 boarding bridges, 4 remote positions, boarding room and 4 luggage conveyor belts. Parking availability is 556 vehicles and includes 8 locations for the disabled. It is the third airport in the country with the highest passenger traffic (more than one and a half million a year) after the airports of Arturo Merino Benítez de Santiago and Antofagasta, the latter with similar traffic.